Tom Brady's Fitter than Ever—How Does He Do It? 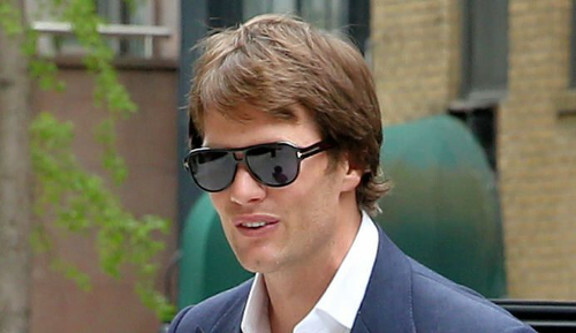 Home » General Health » Tom Brady’s Fitter than Ever—How Does He Do It? Tom Brady’s Fitter than Ever—How Does He Do It? Leading up to his amazing performance in Super Bowl LI, New England Patriots quarterback Tom Brady told reporters he was in the best shape of his life. And the proof was in the pudding. The 39-year-old gave one of the single-greatest performances in NFL history while using every bit of the game clock—and more—to do it. I don’t know what’s more impressive, his football skills or his health. In fact, Brady looks, plays, and feels better now than he did as an NFL rookie. Just Google his NFL combine photo and you’ll see what I mean. But how did he do it? How does a guy who plays in a league described as a place where “millionaires give each other concussions” get healthier and more resilient every year? He does it by taking control of his training and nutrition with a holistic approach. According to the Washington Post, the quarterback works with a controversial practitioner of Eastern medicine and avoids the NFL’s doctors, trainers, and standard diet. He doesn’t eat dairy, refined sugar, or flour products, and he doesn’t train with heavy weights. Brady eats nutritionally dense food that fights inflammation so his joints don’t get stiff. He likely chooses healthy fats, veggies, whole grains, and lean proteins to stay mobile and resilient. And unlike most football players who push around dumbbells and barbells loaded with weights, Brady strengthens and trains his muscles with resistance bands to protect his joints. But it doesn’t stop there—Tom Brady also practices yoga and meditation to stretch his muscles and focus his mind, which are both very important and beneficial to overall health. These practices can reduce stress and inflammation, making them central to a healthy lifestyle. Brady has proven that when it comes to health, he controls his own destiny and marches to the beat of his own drum. He reports his joints are in great health, a claim that’s proven by the fact he’s come into training camp the past three years with increasingly improved physiology. You can institute the same practices as the greatest quarterback of all time to increase your longevity, too. He’s not doing anything that only sports royalty can afford—he’s just traded in the traditional Standard American Diet for one centered around unprocessed, nutrient-dense food. He’s left the weights on the rack and opted to protect his joints by using resistance bands. And he spends just as much time focusing on his mind as his body. All of this has allowed Tom Brady, at 39, to be fitter and healthier than the 20-year-olds he plays with. Jenkins, S., “Tom Brady rejected NFL’s medical culture. At almost 40, he’s never played better,” Washington Post, February 6, 2017; https://www.washingtonpost.com/sports/redskins/tom-brady-uses-the-game-of-football-instead-of-being-used-by-it/2017/02/06/0d63948c-ec94-11e6-b4ff-ac2cf509efe5_story.html?utm_term=.6495bf5ff672, last accessed February 7, 2017.